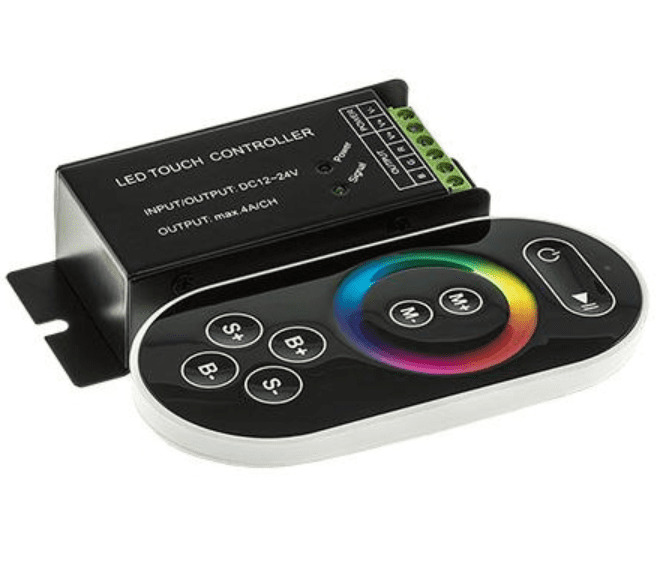 Komply™ Remote is an advanced RGB controller + RF remote, perfect for use with Komply™ RGB LED ribbon products. It comes packed with 60 static color presets, plus multicolor color fade/jump auto programs with speed control. The included remote is very easy-to-use with its touch sensitive buttons + color wheel control.